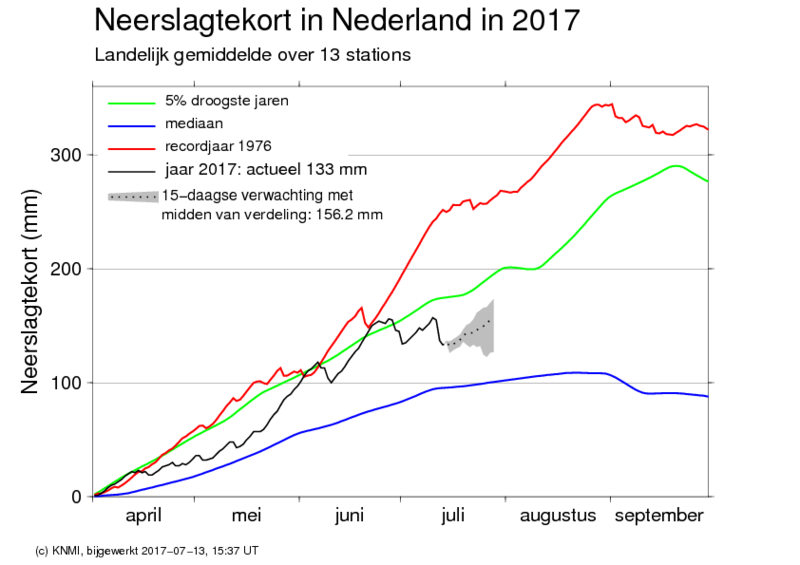 A dry winter season and a firm drought during the spring, has recently led to water scarcity in the southwest of the Netherlands. A good test for the SWS systems in Nootdorp, Westland, Ovezande, and Dinteloord. Almost 8 000 m3 of rainwater was infiltrated since October 2016, of which almost 4 000 m3 has been recovered to date. Thereby, the full water demand was met. More water is still recoverable from the aquifer, based on the monitoring results. Around 28 000 m3 of rainwater was infiltrated at the Westland site this winter. Almost 8 000 m3 could be recovered for direct use. By now, the rainwater is recovered admixed with brackish grounwater and treated with reverse osmosis prior to usage in the local greenhouse. At the Freshmaker site, almost 5 000 m3 of fresh surface water was stored in the winter. Until last week, approximately half of it had been recovered and used for drip irrigation. The other half is still in the aquifer and is available for irrigation in the second half of the growing season. A new horizontal well was tested in the area to enable further replication of the Freshmaker. Around 25 000 m3 of treated effluent was stored with the first ASR-Coastal well in Dinteloord between September and January. This was on top of 6 000 m3 that was left in the aquifer in the summer of 2016. Between April and June, the entire volume of 25 000 m3 was recovered for use in the local greenhouse and at the sugar factory, after which the first salinization occurred. In order to increase the freshwater supply in 2018, the expansion of the well field was realized in May. From September onwards, a target volume of 100 000 m3 will be stored. Altogether, it has been a valuable season so far for the SWS technologies, which proved capable of supplying when the need was there. 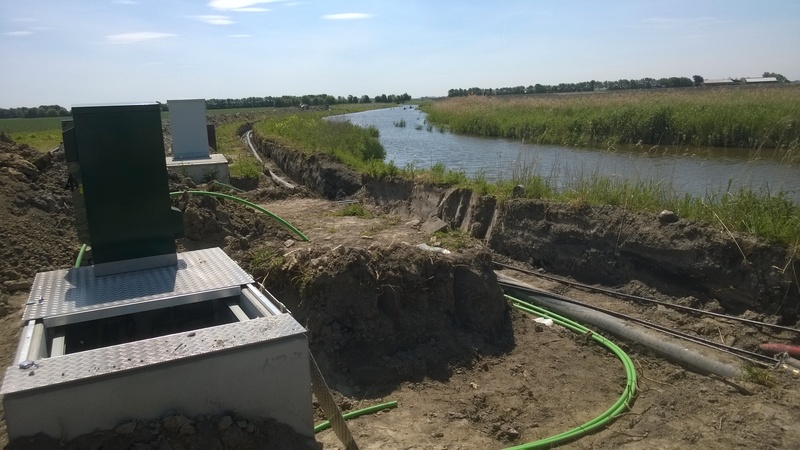 During warm weeks in June, the water supply was put to the maximum in the Friesland area of Vitens. Although no scarcity occurred, Vitens underlined that it is working on the Noardburgum well field to increase the supply capacity. Application of the Freshkeeper at this well field is a key solution to enable the extra abstraction.